The Third International Rhythm Changes Conference, hosted by the Conservatory of Amsterdam.A? The event is delivered in partnership with the University of Amsterdam, University of Salford, Birmingham City University, Open University, and Amsterdam World Jazz City 2014. Jazz Beyond Borders (and: Beyond the Borders of Jazz) seeks to critically explore how borders a?? real and imagined a?? have shaped, and continue to shape, debates about jazz. Rhythm Changes: Jazz Cultures and European Identities (www.rhythmchanges.net) sought to question traditional ways of understanding and articulating jazz history and the concept of moving beyond borders a?? whether geographical or aesthetic a?? has played a key role in the projecta? ?s research strategy.A? Borders can be multifaceted and fluid, from geographical boundaries, to disciplinary fields, there can be theoretical or institutional borders, which permeate discourses relating to the cultural, social, political, national and ethnic as well as artistic, performative, canonical, aesthetic, stylistic and genre-related understandings of jazz. Because of the musica? ?s inherent hybridity, jazz provides an excellent lens through which such borders, and border-policing processes, can be questioned and analysed. The music is ideally placed to think about the dividing lines between, for instance, academia and journalism, popular and art music, a? ?new jazz studiesa?? and a? ?traditional musicologya? ?, the sonic and the visual, and so forth. The Conference committee welcomes individual papers and proposals for panels and round table discussions.A? For individual papers, abstracts of no more than 300 words should be submitted.A? Panels and round table proposals should include a session overview, participant biographies and description of individual contributions.A? Abstracts and proposals (as well as event queries) should be sent to Professor Walter van de Leur (W.vandeLeur@ahk.nl) by 1 March 2014. Steven Feld is a musician, filmmaker and Distinguished Professor of Anthropology and Music at the University of New Mexico. His books include Sound and Sentiment and Music Grooves (with Charles Keil). As a jazz trombonist he recorded and performed with Leadbelly Legacy Band, Live Action Brass Band, Tom Guralnick Trio, and Bonefied. 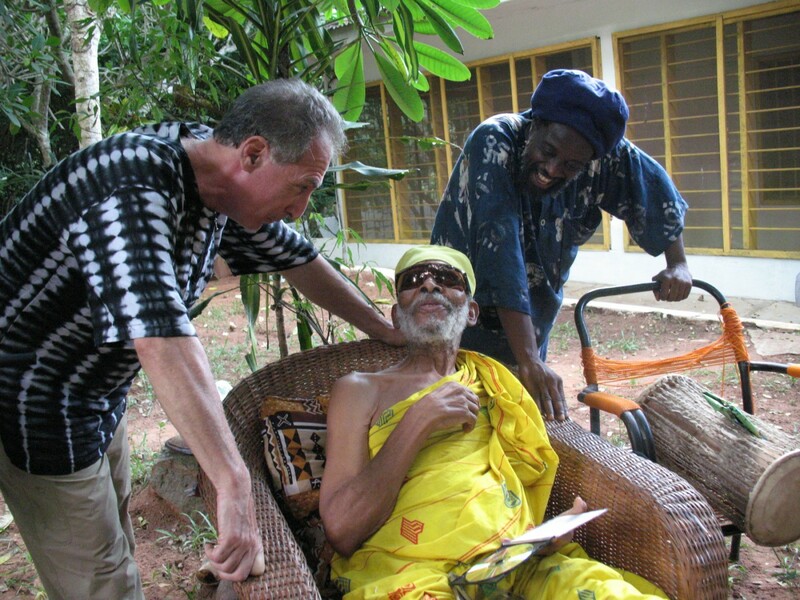 Since 2004 he has been studying the spectral presence of jazz in West Africa, represented in a CD, DVD, and book project titled Jazz Cosmopolitanism in Accra. In addition to documentary work, the Accra project includes performing on ashiwa box bass with the Accra Trane Station trio, dedicated to points of contact between African idioms and the legacy of Coltrane”s later works. Connecting the ATS project to the contemporary Euro-Am jazz scene, ATS collaborated with the Amsterdam-based jazz flute/reed player Alex Coke on the CD Topographies of the Dark. John Gennari is an American Studies-trained U.S. cultural historian and nonfiction writer with specializations in jazz and popular music studies, Italian American cultural studies, food studies, race and ethnic studies, and cultural criticism. He is the author of Blowina?? Hot and Cool: Jazz and Its Critics (University of Chicago Press, 2006), which won an ASCAP-Deems Taylor Award for Excellence in Music Criticism and the John Cawelti Award for the Best Book in American Culture. He is currently completing a book examining how practices of expressive ethnicity in music, film, sports, cooking, and eating reconfigure our understanding of Italian American culture. He has held fellowships from the National Endowment for the Humanities, the W.E.B. Du Bois Institute at Harvard University, and the Carter G. Woodson Institute at the University of Virginia. An active member of the American Studies Association since 1993, he chaired the associationa? ?s Gabriel Dissertation Prize committee in 2008, and served on the Romero Book Prize committee in 2010. This conference builds on the legacy of the Rhythm Changes: Jazz Cultures and European Identities (www.rhythmchanges.net) research project.A? Rhythm Changes was initially funded as part of the Humanities in the European Research Areaa? ?s (HERA) first Joint Research programme which ran from 2010 a?? 2013.A? The project team continues to develop networking opportunities and champion collaborative research into transnational jazz studies. Are you going to post information on the next conference soon?